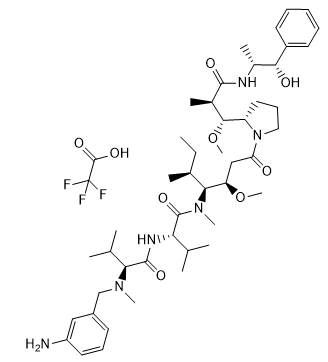 Daunomycinone is the aglycone of daunomycin. 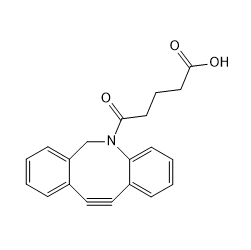 DBCO acid 2 is a Click Chemistry intermidate used for antibody-drug conjugates..
Aldoxorubicin, also known as INNO-206 and Doxo-EMCH, is a 6-maleimidocaproyl hydrazone derivative of Doxorubicin, is an albumin binding prodrug. 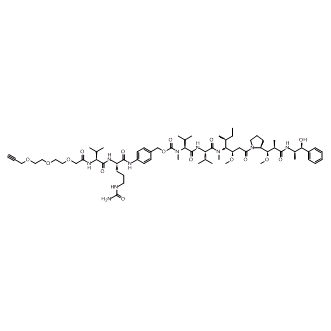 Camptothecin is a potent DNA enzyme topoisomerase I inhibitor with an IC50 and IC70 of 50 nM and 0.225 μM for breast cancer cell line MDA-MB-231.